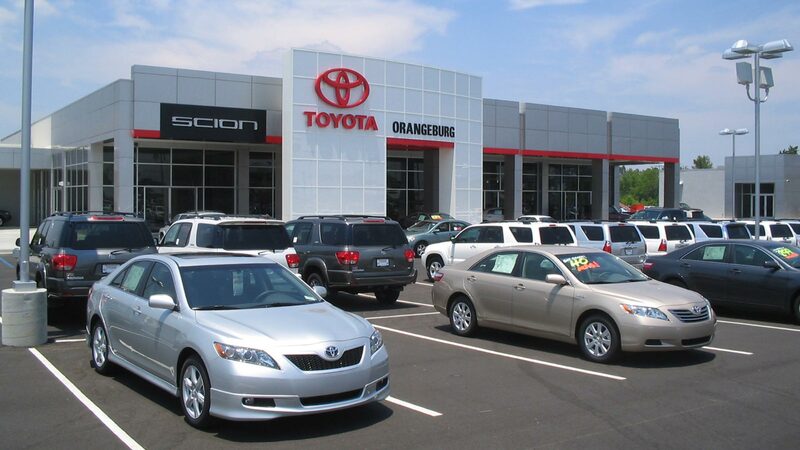 Slivon Properties commissioned Redline Design Group in 2006 to design their new Toyota dealership in Orangeburg, South Carolina near Columbia. Redline was hired due to our extensive knowledge of and experience with the newly re-tooled Toyota Prototype. This 30,000 sf, single story facility has all of the current image elements, including a glowing glass front entry portal. Also included in the program was a 3,500 sf stand alone used car sales facility that was designed to compliment the architecture of the main dealership. 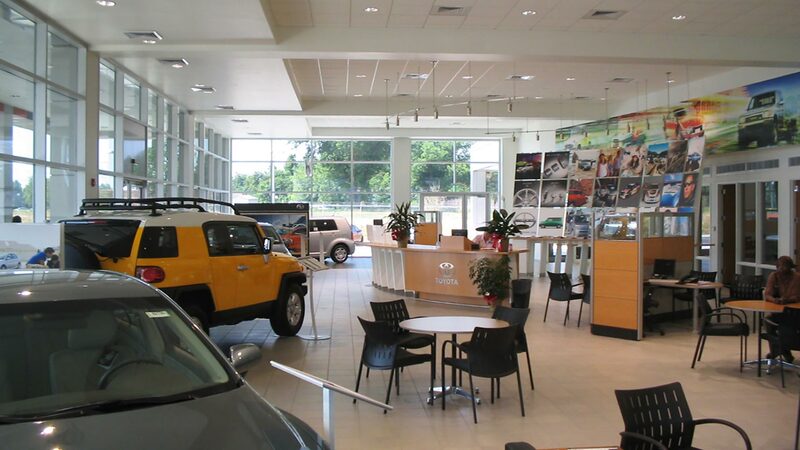 The dealership has a 5,500 sf two story showroom including the Scion boutique, a gracious customer lounge, sales offices, conference room, break room, parts department and a 15 bay service department. One unique feature of this dealership is that the front sales portion of the facility is a conventional steel frame building while the rear service department is a pre-engineered steel building. Redline coordinated between both construction types and created a seamless transition between the two. This allowed the owner to reduce the cost of the service department, thus creating more budget to put toward the customer interaction areas. The result is a well-refined, cost-effective building that accomplishes all of the owner's goals.